Every year I look forward to the HIMSS conference – the annual gathering of the HealthIT industry in North America. The year’s event is being held in Chicago from April 13-16 and it should attract a record number of attendees. I’ve had the good fortune of being able to attend HIMSS for the past 7 years. #HIMSS15 will be my 8th one in a row and this year I will be one of the Social Media Ambassadors at the conference. I am humbled and honored to be part of the team that will be helping to live-tweet the event for those that cannot be there in person. In preparation for #HIMSS15 I thought I do something fun. 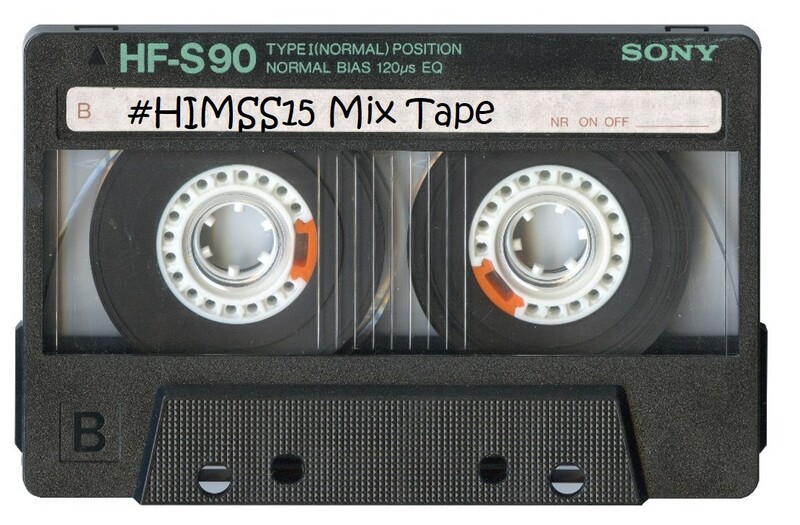 So here is the first HIMSS Mix Tape (#HIMSS15Mix) – a collection of songs that represent the tone, emotion and general feeling of this year’s conference. These songs were carefully curated from a number of well-known HealthIT personalities. To make it easy there’s a Youtube Playlist or Spotify Playlist for your listening pleasure. Enjoy. Ice Ice Baby – Vanilla Ice. Suggested by @ehrandhit See this fantastic blog for the reason why. Add your song to the #HIMSS15Mix in the comments below. How about “I Want a New Drug” by Huey Lewis and the News – To remind us of the potential for #HealthIT to transform research and development of new pharmaceuticals? Thanks for your comment and song choice Dirk. I love that classic Huey Lewis song. “Team” by Lorde is a propos. We’ve referenced this song and the lyrics “we’re on each other’s team” in interoperability optimization presentations, because of the collaboration involved in achieving cross platform HIE. What a cool idea! Getting lots of notice. Well done Colin. teamGenomicsDeerwalkinc Every year I look forward to the HIMSS conference – the annual gathering of the HealthIT industry in North America. The year’s event is being held in Chicago from April 13-16 and it should attract a record number of attendees.